Expecting is the perfect aid for your pregnancy. Whether you are a male or female, this pregnancy tool can help you along the way to that special day - your due date and your child's birthday. Expecting gives is more than just a due date calculator. 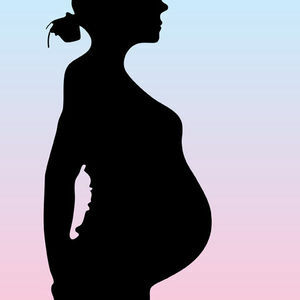 It gives you your due date, of course, with which month or week or trimester you are in. 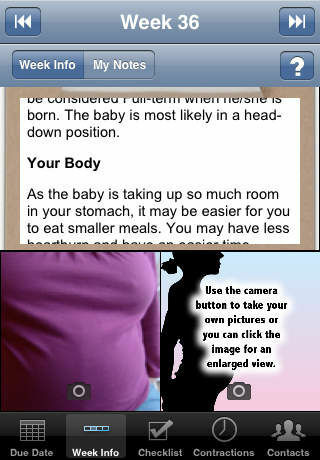 But it also tells you tips and helpful facts that you should know for each week of your pregnancy. You can add your own notes, week by week and even snap up to two pictures to save to the application for each week. 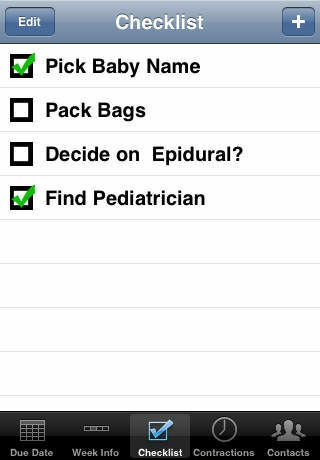 The tool also offers a helpful and easy to use checklist, because we all know you can't remember it all. And when that day comes, it has a contraction timer that helps you know when you need to go to the hospital to give birth to your new child. 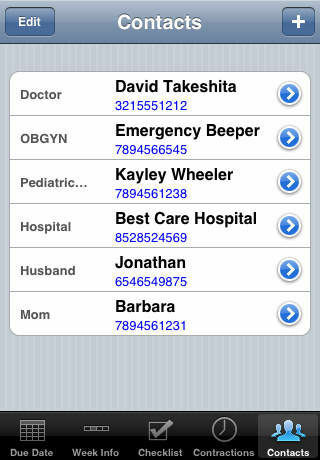 Finally, it also has a contacts database - so you can quickly look up and call your doctor, OBGYN, pediatrician, hospital, your mother, friends and most importantly - your husband. Ability to specify how many weeks to calculate from in Settings app.